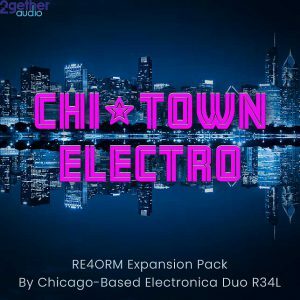 A punchy, evocative and inspiring set of electronic drums, percussion and rhythm sounds for 2getheraudio’s RE4ORM virtual instrument. PLUS matching basses, pads, leads, EFX, brass, strings, plucks and more! 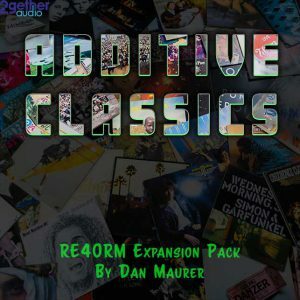 Created by Dan Maurer, expert sound designer and additive synthesis specialist, the attention to detail in this expansion pack of over 200 sounds is impeccable. 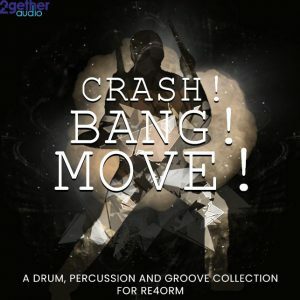 Additive kick drums, snares, hi hats, percussion sit alongside some of the most creative rhythmic bass and melodic sounds we’ve ever heard. 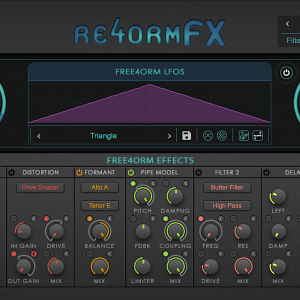 Also includes new Free4orm LFO shapes to try on your own sounds!